Commercial carpets get messy very quickly, the reason is the carpet faces a lot of foot traffic of employees and clients. It is very important to have professional carpet cleaning services to enjoy multiple benefits. This is bothering because unless and until your carpet has a visible blemish, you avoid professional carpet cleaning services. It might be a part of a regular cleaning routine, as an occasional vacuum job. Beyond that, there’s no need for it, correct? Wrong, it is actually mistaken. Carpets face lots of beating on a daily basis, that the reason it needs regular maintenance. Unwanted particles such as dirt, dust, and salts can break things down slowly. Bad odor can also settle in the roots of the carpet if cleaning is not done properly. The first problem would be the piled up dirt and sand in the carpet, for eg: the minute particles. These will usually end up on the carpet as people come in and go out of your office. During office carpet vacuuming only 85% is taken away, rest is left behind. In the end, you have to manage somehow and remove the left out particles or else these left out particles are not visible and needs a professional eye to deal with. Another source would be food and related bits. You cannot deny because there are many employees eat at their desks. This usually happens when people are more overworked, they more likely to eat on their desk while working. No matter how clean they are as they dine, there will be food particles that fall into the carpet. Spills are also parts of these, such as coffee and cold drinks. The worse part of this is that if left behind, bacteria can infect the entire areas. If you don’t clean these quickly, it could become a small scale health hazard. Moreover, this could also lead to mold, mildews, and fungal infection can also be a major issue. If cleaning is avoided these things can lead to the spread of pathogens and disease in the entire office. You will usually spot them in the areas where the environment is wet and warm, such as places near heavy-duty air-conditioning units. So make sure you give your full effort to keep your carpet clean and dry. You might be aware that people shed skin. This isn’t something you can argue, because it’s a biological fact. The average human shred millions of flakes of skin a day. Some of it is in clothes and a number of them end up on the carpet. At last, there are bugs. Which are not visible to our naked eyes, but there are lots of bugs moving around in those fibers. These are some most common issues a commercial carpet can face. So, it is vital to have regular carpet cleaning services at your office. A clean carpet with a hygienic workspace can enhance your productivity. 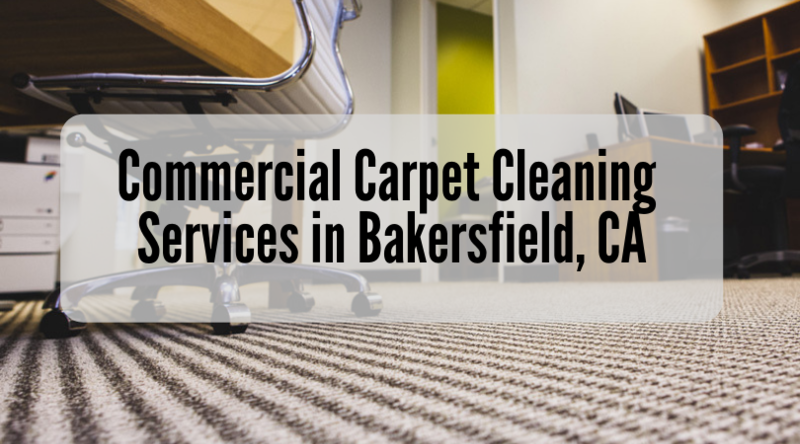 If you are a business owner or a property manager and looking for a commercial carpet cleaning services in Bakersfield, call All Pro Carpet Care. We have years of experience with the top class professionals delivering the top-notch services. Call us today at 661-747-4441 for more details and free quotes. Follow us Facebook, Instagram, Twitter, & Google+ for regular updates and cleaning tips.